Workshop mit Rasha Abbas und mir. Podiumsdiskussion mit Lanna Idriss, Joachim Zepelin, Aref Hamza und mir [Moderation]. Podiumsdiskussion mit Antina Zlatkova, Olga Grjasnowa, Matthias Nawrat und mir. 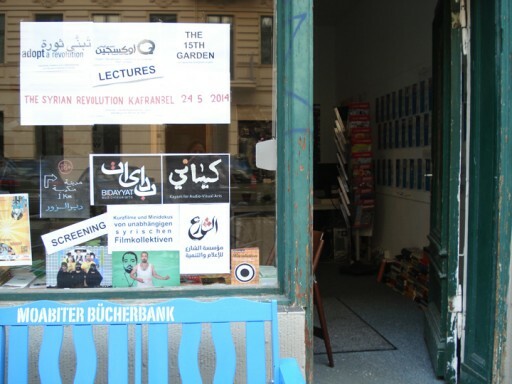 Dammeh (Frauenkollektiv, Zabadani - Syrien), 15th Garden (länderübergreifendes Kollektiv für Nahrungssouveränität) , Oxygen (Alternative Lokalzeitschrift, Zabadani - Syrien), Kafranbel Collective und Adopt a Revolution. 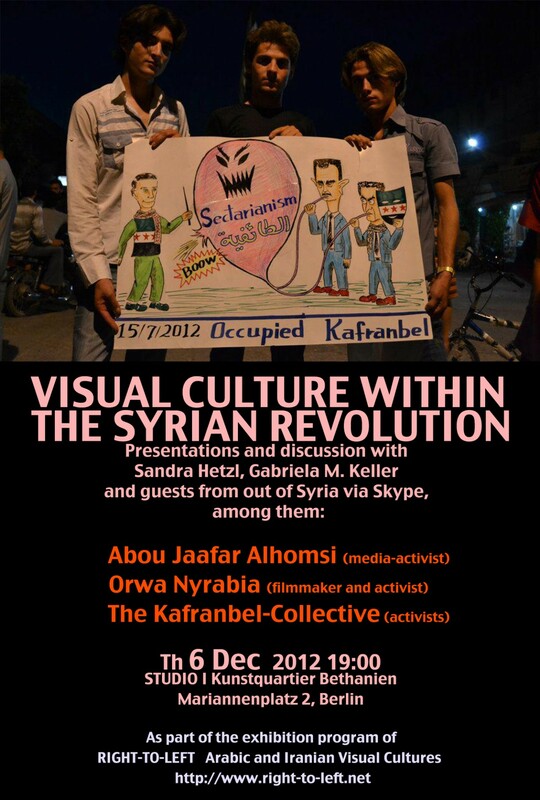 Talk by Gabriela Keller and me about the role of documentation and citizen journalism in the Syrian Revolution, about activism through (online-)art, film and humor, featuring Abu Jaafar Mogharbel from Homs and Radwan Fares from the Kafranbel Kollektive (Idleb) live via Skype, and many more.